There are so many companies across the nation who are working toward “zero waste” products. Many have become aware of the fact that moving toward this process is beneficial toward business costs as well as for the earth. 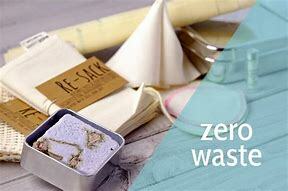 “Zero waste” is a philosophy where there is nothing sent from product to landfill, from first to final stages, everything from production to shipping to product use and waste. There is the ability for everything involved in the production, shipping and use of these products to completely avoid the landfill. There is nothing that needs to be thrown away. Anything that may be a solid material can be recycled or reused. The Zero Waste International Alliance (ZWIA) has created a recognition program for businesses which have moved their workflow to a “zero waste” method. There is more to consider in the product itself as being “zero waste”, but there is also the business workflow that must be considered in order to gain this recognition. As discussed above, every step in the business process, from production to shipping to customer use, must completely remove the need for a landfill at all. There is the ability for everything to be recycled or reusable, or shipping and containers can be taken back by the distributor or business itself for reuse or recycling. The qualities of this company provide an incredible “zero waste” benefit to both the company and its customers. While everything can be recycled, or reused, there has been the potential for recognition by the ZWIA that any company worldwide is making a true effort for improvement of our environmental condition. One of the essential benefits of these oils are the fact that they are all natural and flushing into the water system is no damage as they are rinsed off our skin. 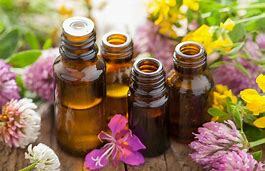 The business has also worked toward the effects of the wonderful zero waste recognition, where not only the products themselves are eco-friendly but there is complete ability to return shipping and packaging materials, all product packages are recyclable as needed, and it is possible for not a single ounce of Young Living Essential Oils’ materials to be thrown into a local landfill. Goals of Zero Waste in the Future? Many cities around the world have reported their goals of initiating zero waste requirements over the next couple of years. Everything from local garbage and recycling programs to reduced emissions from automobiles, gardening tools and more. The goal is to improve preservation and work toward renewable energy and zero waste as soon as possible. Are we really going to be able to do it in time? **I met some of these ladies at a recent networking event here in town… and let me tell you, these oils are AMAZING! Fresh and cleansing, and much better of a scent than any perfume or cologne I could think of.